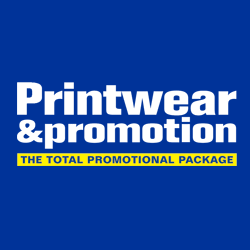 We will be exhibiting at the Printwear & Promotion Live 2014 @ the NEC, Birmingham from Sunday February 23rd to Tuesday 25th. We will be showing the latest range of embroidery machines from Tajima and all the latest developments in embroidery software from Pulse Microsystems. AJS Embroidery Services is celebrating 20 years in business. We are also jointly celebrating with our main supplier Tajima who are in their 70th year! This year we will be showing 2 new models of Tajima Embroidery machines, firstly the new Tajima TMARK-C Series which has a total new drive system and control panel and secondly another single head from Tajima TUMX-C1501 which also has a new drive system which leaves the area under the sewing area clear for large items. Some new and unique software options from Pulse Microsystems will also be on show and we will be doing live demonstrations of our Automation Embroidery management software and our new SIDEKICK software to control your machines wirelessly through an Android tablet device. Customers new and old are welcome to come and join in our celebrations and see all the latest developments from the world’s leading embroidery machine and software builders.